Manual of Style is the style guide for the Don't Starve wiki. It is enforced in accordance with the Editing Rules. If there are any questions, suggestions, or complaints, please post them on the talk page. Please do not introduce or alter guidelines on this page without consensus. Please do not apply special formatting such as links or italics to headers. Avoid abbreviations when they would be confusing to the reader, interrupt the flow, or appear informal or lazy. 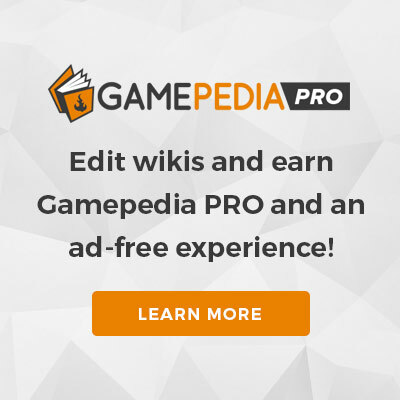 Users who are new to editing may also want to look through the Help Wiki. The title of the game, game updates, and DLCs are italicized. Headings should use header tags, as opposed to bold text. Bold text is used when the subject of an article is introduced. If other alternate English titles are also used to introduce the subject, they should be bold as well. Subsequent mentions of the same title(s) should not be bold. Whenever an article name is mentioned, it must be capitalized. Strong emphasis that isn't adequately conveyed by an article's wording may be italicized. Bold or capitalized text should not be used to convey emphasis. Avoid using double emphasis (e.g. combining bold and italics). A given page should only contain one link to any other page. If a page links to Pig in one place, then that should be the only link to Pig on that page. Typically, this link should be the first instance of the term in the article. But in the case of large articles, it's also okay to instead make one link in each major section instead of just once. Links being used by pictures and infoboxes are exempt to this rule. Underlining article content should be used sparingly and only in special cases. All information about upcoming content will use special Templates (e.g. Upcoming Item Infobox) in order to not mix it with category articles about objects already in the game. Upcoming changes to existing objects will be listed in the main article of the expansion until it fully releases and not in the existing article about said object in order to prevent confusion and unnecessary edits. Trivia should be accurate, interesting, not fundamental to the body of the article, and preferably little-known. Trivia about Character quotes pertaining external references not related to the game, should go to the respective Quotes page. If possible, each article should include at least one image that appropriately presents its subject. It is not required to upload an in-game picture that shows the same thing that's shown in infoboxes, unless it's to show it's scale in the game. Fan art is not permitted on articles, though representation of one's self by means of themed images is permissible for avatars, signatures or user descriptions. Animated images should be used sparingly, as they increase page load time for users with slow internet connection. Images should be tagged with their license type. Images should not be used excessively to the point that they crowd out and distract from the textual contents of an article. More than one image that shows the same thing is not required. Images should associated to a category to help find them better. Pngs are preferred over other image file types. When naming images, use the main subject of the image as the first word, then add a brief description for it. Categories are used for both organizational and navigational purposes. When adding categories, make sure that the category belongs in the article. Also, always check the description for each category before adding it. Always pay attention when adding a category. Categories need to be written and capitalized properly in order for them to work. Categories don't work like "tags" do on other sites.